ABT Series products are ideal for testing medium voltage electrical components and apparatus requiring AC withstand testing. They are packaged in benchtop cabinets for industrial and commercial use. 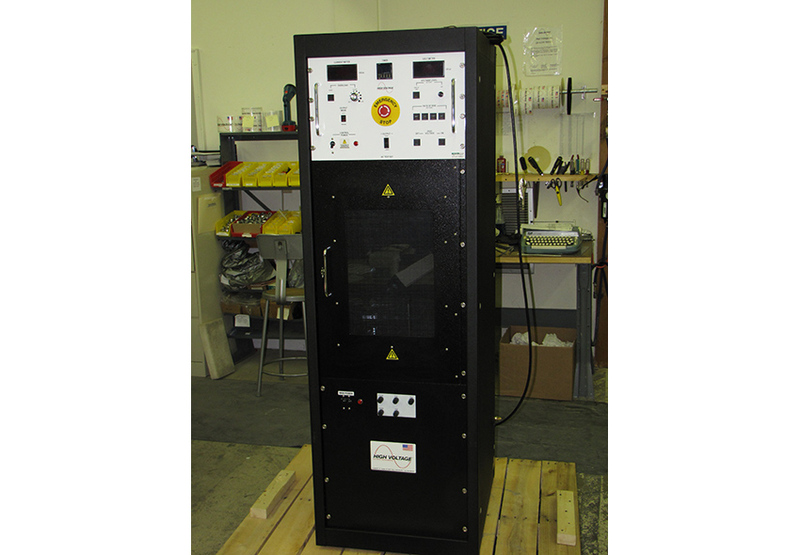 HVI produces many field portable AC hipots, like its PFT Series, for testing electrical apparatus. Standard models are available from 10 kV AC – 50 kV AC and rated 1 kVA – 3 kVA. They are all one-piece designs with the high voltage section contained within the cabinet. 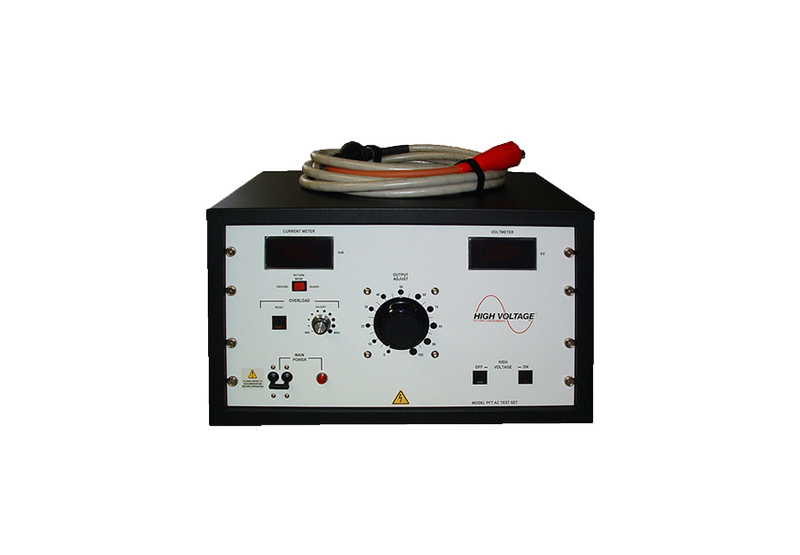 Higher voltage models are available with two pieces, a controller and an HV tank. Various control packages are available, from simple manual controls to fully programmable logic control (PLC) options. 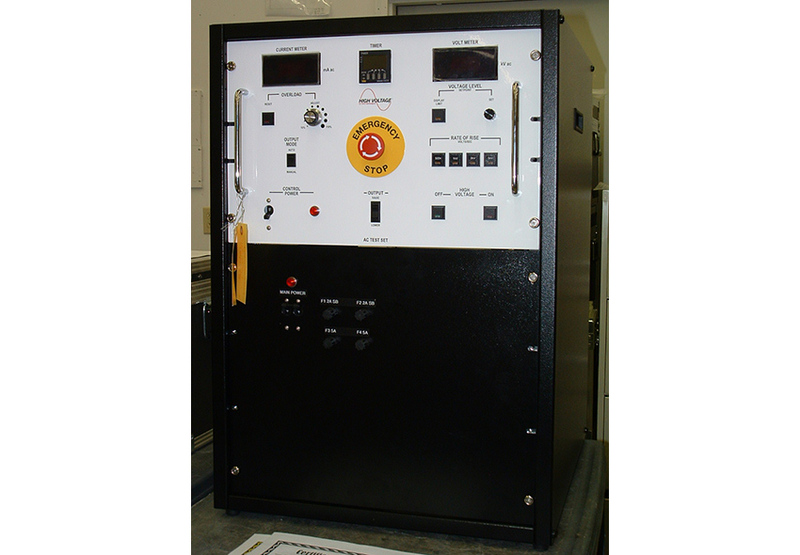 Some models are corona free for performing partial discharge testing. For more detailed specifications, see the PFT Series (ABT is the benchtop alternative to PFT products). Contact HVI sales at 518-329-3275 or [email protected] for additional information about the ABT Series.